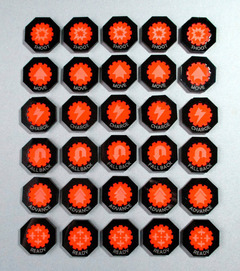 This token set is a great upgrade to the card tokens from the boxed game. 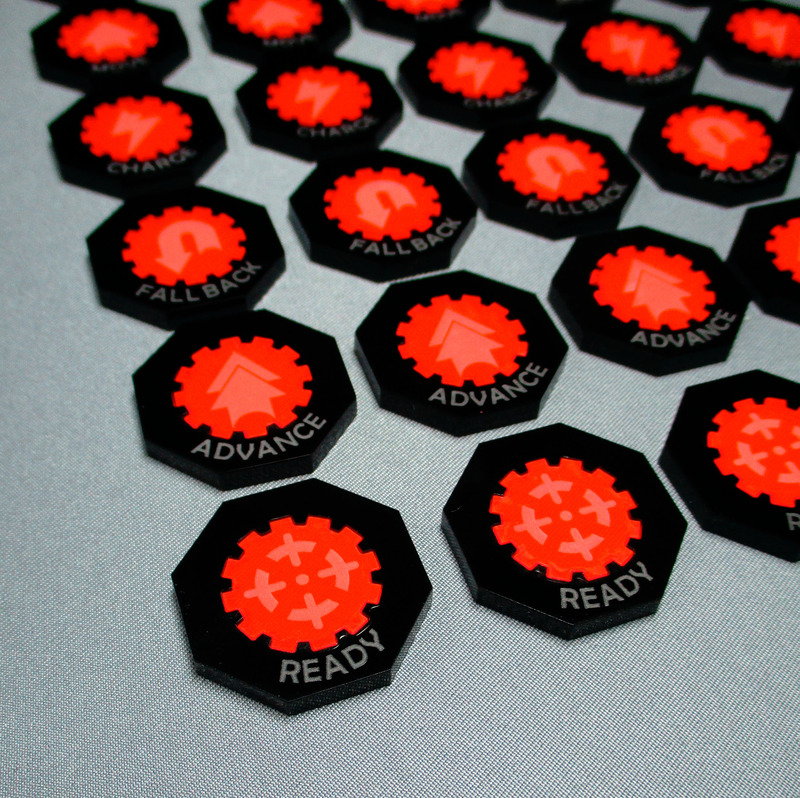 The status tokens come in two tones - a black outer part and an inner part in the colour of your choice. The inner part fits snugly inside, so no gluing in required. Made from 3mm Perspex. The Shaken,Flesh Wound and Objective tokens will be made in the same colour you choose for the inner parts of the status tokens. 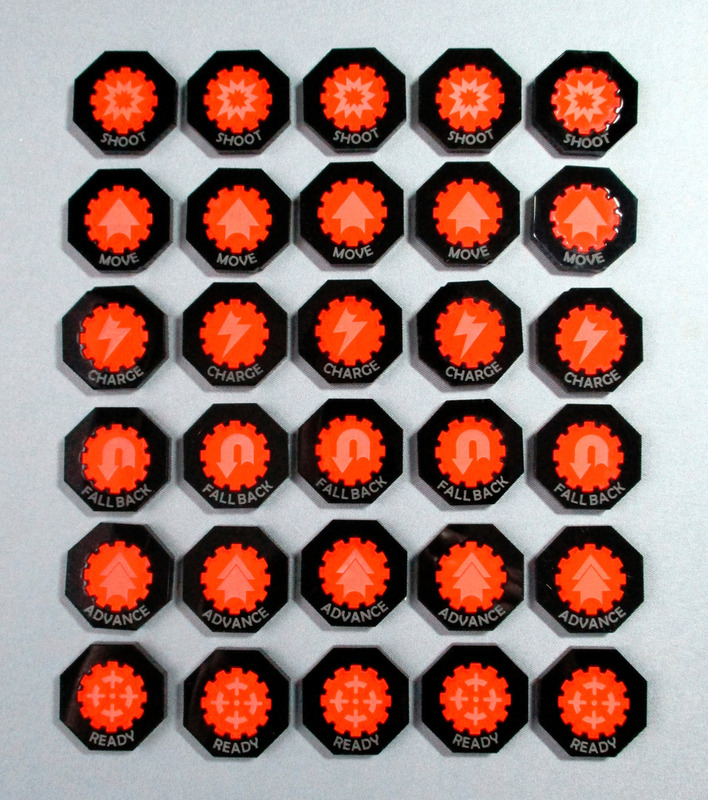 Please note the pictures only show 6 of each status token and no shaken markers.